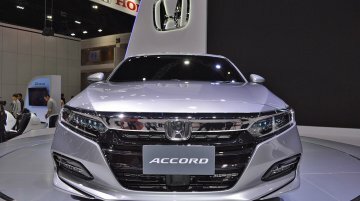 The 2018 Honda Accord was on display at the Thai Motor Expo. 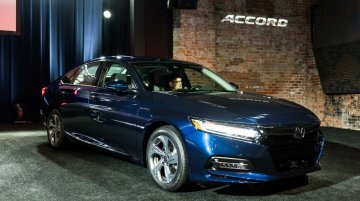 Honda (Thailand) has confirmed that the tenth generation of its globally successful sedan will launch in the 'Land of Smiles' early next..
Honda unveiled the tenth generation Honda Accord in Detroit yesterday. 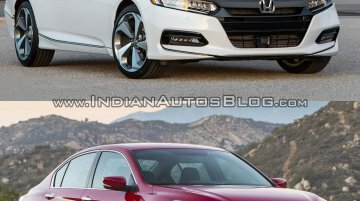 Here's a visual comparison of the new Honda Accord and the 2016 Honda Accord. The previous generation Honda Accord was an..
U.S. market to get the all-new Honda Accord this fall. 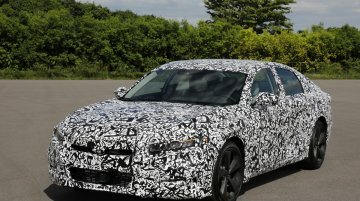 Honda has announced that it will unveil the 2018 Honda Accord in Detroit on 14 July 2017. 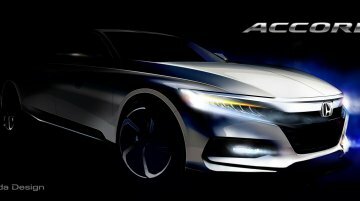 With the announcement, the company has dropped the..
Next-gen Honda Accord goes turbo-only, next-gen Honda Accord Hybrid confirmed. Honda Motor President &amp; CEO Mr Takahiro Hachigo confirmed at the Honda Meeting 2017 that the next-gen Honda..
U.S. market to get the redesigned model first. 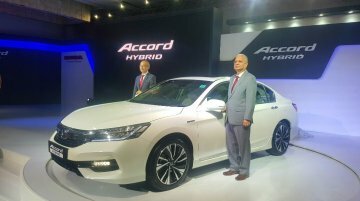 After the all-new Honda Civic Type-R in March, as expected, Honda will unveil the next-gen Honda Accord this year, Honda Motor President &amp; CEO Mr..
New Accord goes green with a hybrid system. After a long sabbatical, the Honda Accord has returned to India. 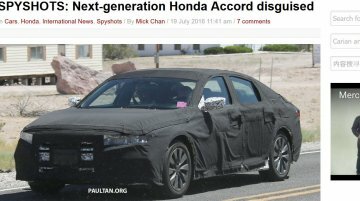 Since we last saw it here in 2013 in its eighth gen form, the ninth gen Accord was alrea.. The Accord Hybrid is imported via the CBU route from Thailand. 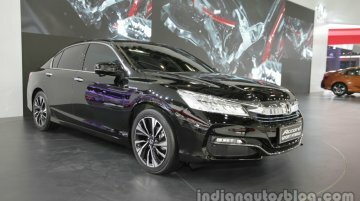 Honda Cars India has launched the Honda Accord for sale in India. 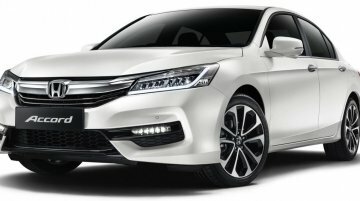 It is only available in the Hybrid variant, which is priced at INR..
Honda Cars India is gearing up to launch the Honda Accord Hybrid this month. The carmaker has announced the features and specifications of the premium sedan at the ongoing media drive in Hyderabad. A..
To be made available only in Hybrid variant. 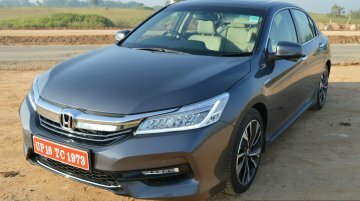 According to a report on Autocar India, the 2016 Honda Accord Hybrid will launch in India on October 25, with prices in the region of INR 40 lakhs,..
Marks the return of the Honda Accord. Zigwheels reports that the 2016 Honda Accord will launch in India on October 30. 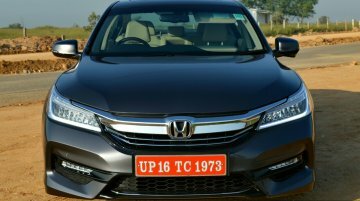 However, Honda Cars India is yet to confirm the launch date of the.. Estimated to be priced between INR 28-32 Lakhs (ex-showroom). 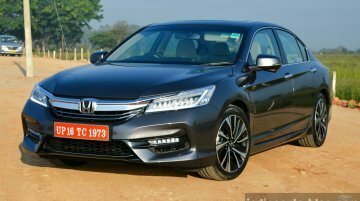 According to Car and Bike, Honda Cars India has confirmed that the ninth generation Honda Accord will go on sale this October. An..
Will be launched in India in Q4 2016, in the Hybrid variant. 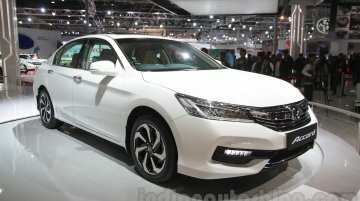 Thailand was the first Asian market to receive the facelifted ninth-generation Honda Accord earlier this year. Now, Honda has announced.. Priced from 1,659,000 baht. 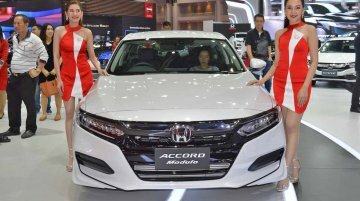 Honda has launched the 2016 Honda Accord Hybrid in Thailand. 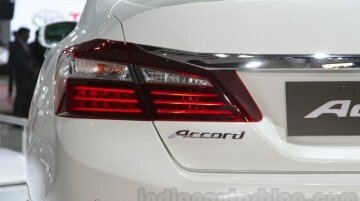 Available in two variants: Accord Hybrid and Accord Hybrid Tech, it is priced from 1,659,000 baht (INR 31.8..
Expected to debut in late-2017. The current, ninth generation Honda Accord was introduced in late-2012, and given a mid-life facelift last year. 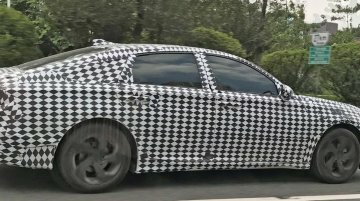 Now, Honda has started working on the tenth.. Hybrid variant planned for the Indian market. 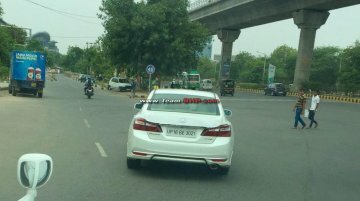 Team-BHP reader, Ashray Bakhru, has spotted the new Honda Accord testing in India for the first time. The ninth generation flagship is expected to..